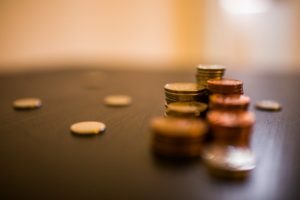 No Recovery, No Fee Lawyers in Erie, PA: What is a Contingent Fee? How do I find a lawyer in Erie that charges no fee unless they settle my case? When watching TV, you’ll see that many lawyers advertise No recovery, No Fee payment structures, wherein the lawyer won’t charge a fee for your personal injury case unless he or she gets you money by way of a lump-sum settlement or a verdict. During our free consultations, this is often the first question we get when meeting with a new client. Like all personal injury law firms in Erie, PA, we do not charge a fee unless we obtain a recovery for our client. This sort of “no recovery no fee” arrangement is referred to as a “contingent fee,” and it is the standard practice for nearly all attorneys in Erie, PA that handle car accidents and other personal injury claims. When you see some of the heavy-advertisers focus on this structure in their commercials, don’t be fooled into thinking they’re the only ones that don’t charge hourly fees and don’t charge big retainers; they’re simply the only ones that shout about it on television. Knowing that this is standard practice for nearly all lawyers, you’re free to do your research and pick the best attorney for you without having to worry about draining your savings account. Are contingent fees fair? Should I pay hourly instead? Contingent no-recovery-no-fee arrangements give great power to personal injury victims who are looking for a lawyer: instead of being stuck with the cheapest option out there and operating on a shoestring budget, he or she can hire the best attorney in Erie to fight the insurance company on his or her behalf. Insurance companies hate paying out a fair value for claims and hire good lawyers to help minimize their exposure: our contingent-fee arrangements allow you to even the playing field and fight for fair compensation. Who pays for the expenses in a lawsuit? In addition to charging no fee unless we obtain a recovery, our firm also fronts all litigation expenses: what this means is that you don’t have to worry about coming up with thousands of dollars for expert reports, medical depositions, records, expert witnesses, et cetera. Because insurance companies spare no expense when it comes to building their case, we front the money for whatever it takes to prove the significance and extent of your injuries. Our firm doesn’t let insurance companies win by simply outspending us. We ensure things are fair. If you have been injured in a car accident or have a workers’ compensation claim, don’t think that you can’t afford a good lawyer. Give our Erie, PA Lawyers a call and we’ll arrange a free consultation. If, after meeting us, you want to move forward—feel safe knowing that we don’t charge a fee unless there’s a recovery.